It measures the total amount of Visual Light Transmission (henceforth referred to as VLT) through a window and any coatings (tint film) on that window. Optional accessories: USB Cable and software or Bluetooth. 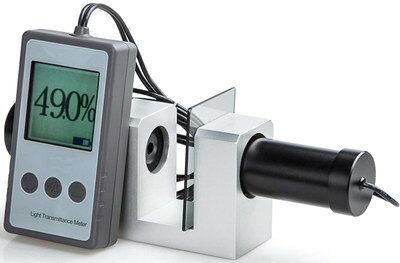 Applicable to measure the transmittance or haze of all kinds of transparent, translucent samples with parallel plane. Also can be used to determine the turbidity or clarity of liquid sample. * Solid structure, small volume, light weight, exquisite, easy to carry. * Single / Continuous measuring mode. * Can measure the transmittance of ultraviolet light, visible light, and infrared light. 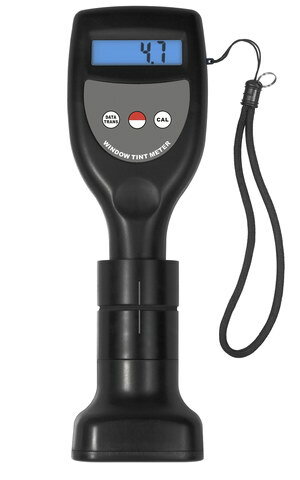 SR3716 light transmittance meter is used for measure percentage of light transmitted through transparent material (such as glass, plastic substrates etc.). 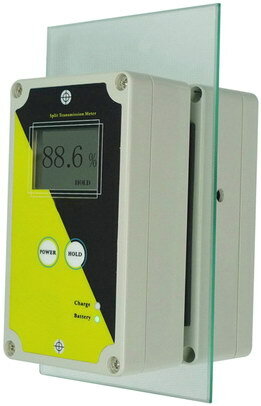 This meter is self-contained light sources and self -calibration. No manual adjustment is needed. 4. Simple and ease operation. 4. Ni-MH rechargeable battery used, no need to change batteries. 5. Two laser for two part alignment, more accuracy. 4. Two laser for two part alignment, more accuracy. 9. “Charge” is the Charge indicator light. When the meter is charging, the red LED light open, and will be close after the charging is complete. 10. “Battery” is the starting up indicator light. 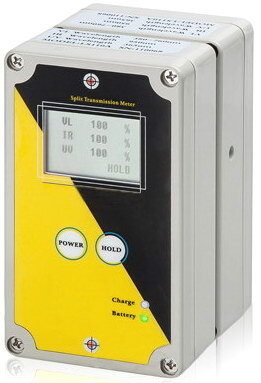 The LED light will be green when the meter is starting up, when the battery is using out, the green LED light will be flick, you should charge the meter now.